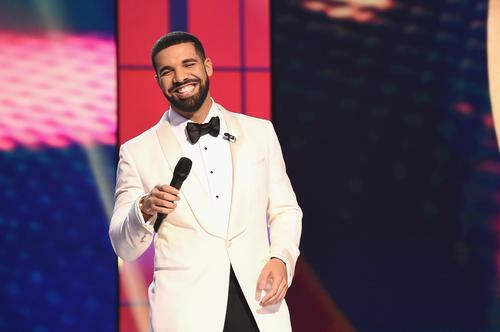 Drake brings "God's Plan" video shoot to Miami schools. Drake's "God's Plan" is about to be the biggest record in his catalog. It shattered records on Spotify and Apple Music on the weekend of its release and debuted at the top of the Billboard 100 a week later. With "God's Plan" making serious waves all over, the rapper is taking the next step to further push the single with an official music video on the way. Drake was spotted earlier today at a Miami high school shooting the video for "God's Plan." The video for the single was shot at Miami Senior High School earlier today and the rapper allowed the students to pop up for cameo appearances. Drake shot the video at various parts of the school including in the hallways and in the field for a drone-shot scene. As expected, kids were screaming when Drake made an appearance on their campus and you could hear the thrill in their voices in the clips. Seeing Drake on your high school campus is already pretty lit but Drake had more to offer the students aside from his appearance. The rapper reportedly donated $25K to the school and also revealed he'll be donating new uniforms designed by him as well. After his appearance at the high school, the rapper went to the University Of Miami where he gifted a biology student a $50K scholarship. The Miami Hurricane reports he also shot part of the "God's Plan" video on campus. However, the video shoot on the University campus didn't seem to include cameos from the students. Check some of the clips below.